Obituary for Harris Lloyd Jansen | Langeland Family Funeral Homes, Inc.
Dr. Harris L. Jansen, 90, of Kalamazoo, MI, passed on to his heavenly home and into the arms of his Lord and Savior, Jesus Christ, at just past dawn on a beautiful Michigan spring morning, May 6, 2018, of natural causes, at Park Village Pines in Kalamazoo. His wife of 69 years, Elizabeth "Betty" (Butler) Jansen, and only child, Sandy Jansen Wolfinbarger, were at his side. He is also survived by his granddaughter, Amy Wolfinbarger of Springfield, MO, and son-in-law, Dr. Steven Wolfinbarger of Kalamazoo, and siblings Dale (Irma) Jansen of Pella, Iowa; Lola Klein of Pella; and Norma Bartlow of Oskaloosa, Iowa. He was preceded in death by 2 brothers, Wayne Jansen and Lowell Jansen. Harris was born to Louis and Henrietta (Elscott) Jansen on Sept. 24, 1927 in Jasper County, IA. For more than 45 years, Harris Jansen advanced the Gospel of Jesus Christ as a leader in the Assemblies of God. His ministry journey began in 1945 at Central Bible College (CBC) in Springfield, MO. He met the love of his life, Betty, at CBC and married her in 1949, welcoming daughter Sandy into the world in 1955. Harris also held an M.A. in Biblical Studies from the Assemblies of God Theological Seminary and a D.Min. from Fuller Theological Seminary in Pasadena, CA. 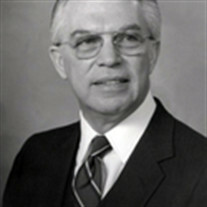 Harris taught at the Assemblies of God Theological Seminary and worked in various roles for the Assemblies of God national offices. He was a writer, providing a number of study guides for Global University and the Berean University, and was the managing editor of the Assemblies' Pentecostal Evangel magazine from 1984-1990 and editor of its Advance: for Ministers and Church Leaders from 1990-94. Not only did he teach and write, but he loved helping people grow in their understanding of Jesus Christ. He served as a pastor early in his career, pastoring the Assembly of God in Paw Paw, MI and the Assembly of God, Albion, MI. After his retirement, he served as a chaplain for Cox Health Systems in Springfield. Juleen Turnage, a communications manager with Assembles of God, wrote of Harris in a tribute article in 1994, "Harris certainly has used his God-given talents in a manner worthy of his calling. As a servant of the Lord, he has blessed this movement and its ministers and left us an example of what it means to walk humbly with God and serve him with our lives." Funeral services will be held on Friday, May 11, 10:00 am at Centerpoint Church in Kalamazoo, MI, followed by a graveside service and burial in Greenlawn Memorial Gardens in Springfield, MO on Monday, May 14 at 1:00 p.m.